Our 100-Day Denture Satisfaction Guarantee tells you that the dentist, staff and lab technicians at Affordable Dentures stand behind our work. Your denture was hand-crafted with care by our lab technicians, right here in Miami Lakes, FL. 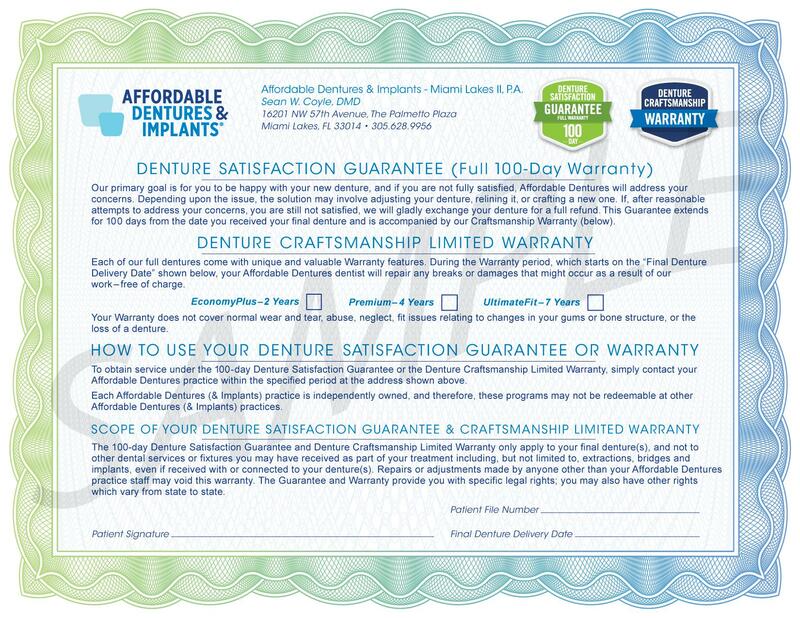 View our certificate using the link above for more information about our 100-Day Full Denture Satisfaction Guarantee. If you have any questions, please call us at 954-271-1623. Please fill out the form below to request an appointment. For immediate assistance, please call us at 954-271-1623.